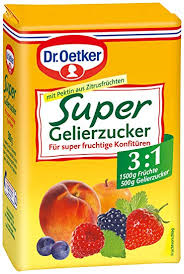 With Dr Oetker 3:1 you can now produce even less sweet, however really fruity marmelades, confitures and jellies. 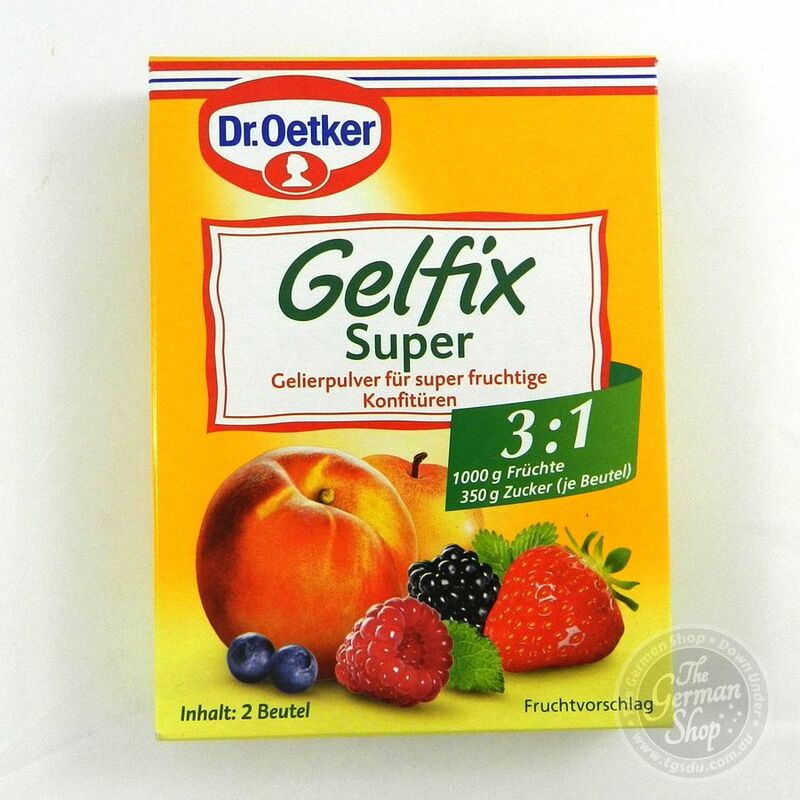 Dr Oetkers’ 3:1 gelling sugar (500 g) is good for 1.5 kg of fruit or 1.250 ml fruit juice. Basically any kind of commercially available juice (excl. grape juice) can be also be used to make a delicious jelly. 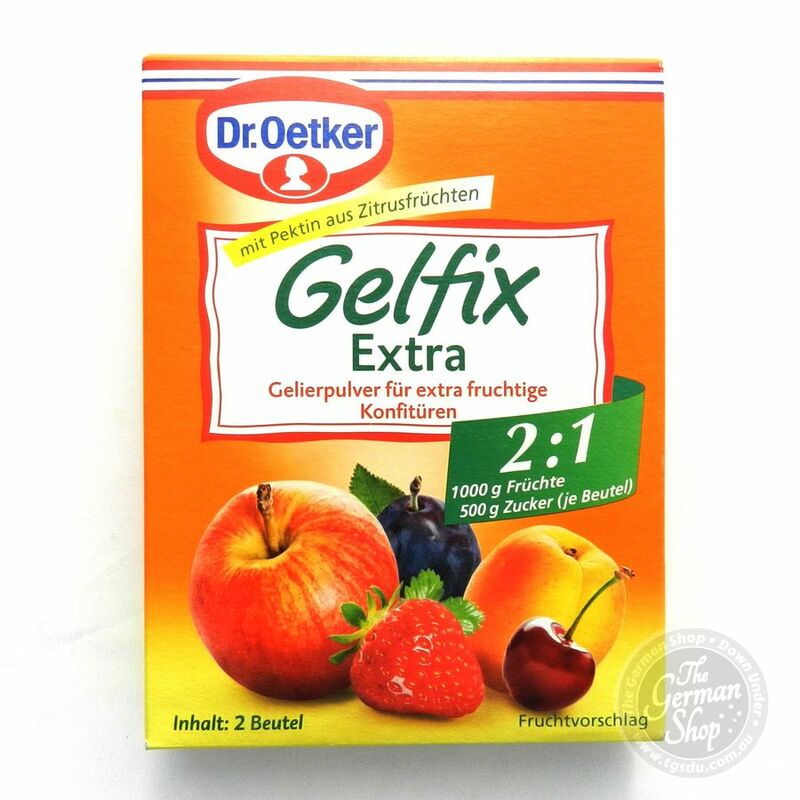 Dr. Oetker Extra Gelling Sugar contains pectin of vegetable origin which is made of apples and citrus fruits. The gelling agent and sugar are already mixed together so preparation is ever so easy, even for beginners. Sweet and zesty preserves can be also be produced using Dr. Oetker Extra Gelling Sugar 3:1. 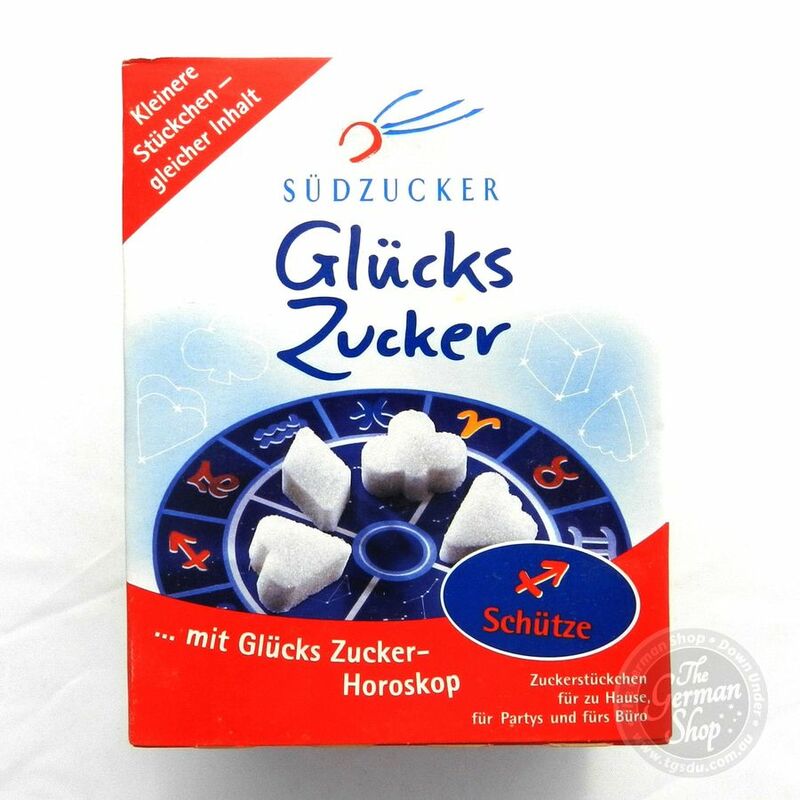 Sugar, gelling agents (pectins), acidifying agents (citric acid), preservatives (sorbic acid), palm oil.